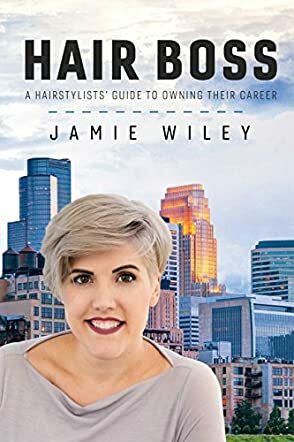 Hair Boss: A Hairstylists' Guide to Owning Their Career by Jamie Wiley is a self-help book for hairdressers looking to increase their client base, rack up higher ticket sales, expand their business, and get the most out of an occupation where the sky's the limit. Wiley breaks her guide down into twenty-one chapters that cover everything from continuing education, to client retention and generating referrals, to breaking through the glass ceiling of an 8% retail average and increasing it exponentially. Wiley also makes suggestions on how even the smallest gestures can have the greatest impact, such as focusing on giving a great shampoo and having a scent that might alleviate anxiety when a client first walks into the salon. Hair Boss by Jamie Wiley is just the type of book that any new or seasoned hairdresser should read to up their game. I love that Wiley was also in the US Army and applies "time in grade vs time in service" to the craft, highlighting the gap between those with decades behind the chair without continuing education, and those with only a handful of years who strive to learn something new at every opportunity. Wiley writes with a voice that conveys both her credentials as an authority in the industry, and with a levity that makes a reader completely comfortable. I would recommend this book to cosmetologists and cosmetology students, salon owners and managers, and all the hairdressers out there who would like to see themselves at the apex of their profession...as a bonafide Hair Boss!